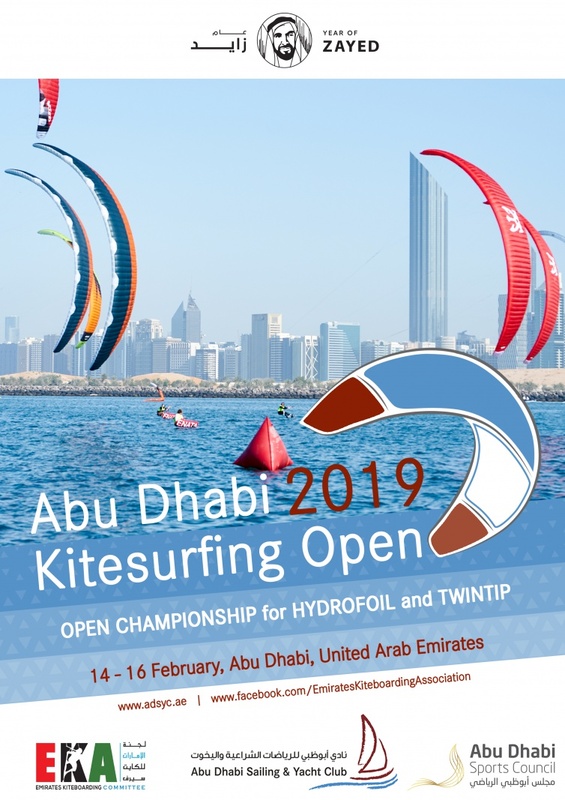 The Abu Dhabi Sailing & Yacht Club in cooperation with the Emirates Kiteboarding Association is proud to announce it will host the 4th edition of the Abu Dhabi Kitesurfing Open from 14-16 February 2019. The championship will be open for the best riders in the world to race on Hydrofoil and Twintip boards. Following the excitement from the 2018 event, racing is is expected to be highly competitive as once again the beautiful waters around the Abu Dhabi Corniche area will be filled with colorful kites. The best viewing areas will be from the Abu Dhabi Public Beach and the Breakwater area.